With many of us using smartphones with GPS now, we’re starting to take for granted applications like Google Maps being able to pinpoint us. But using computer is a different story. Sure, there have been plugins, and things like Google Toolbar, but those are things that most people aren’t going to bother to install. 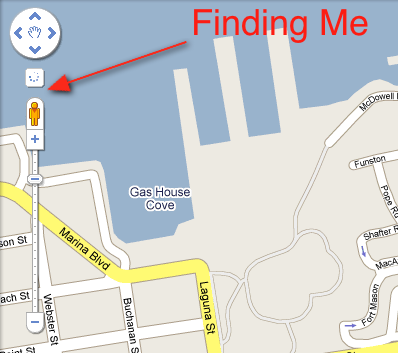 But starting today, location is now built in to Google Maps in the browser — provided you’re using the right browser. If you are using either Google Chrome 2.0+ or Mozilla FireFox 3.5+, you’ll now notice a little dot in the upper left-hand corner of Maps, just above the Street View guy. 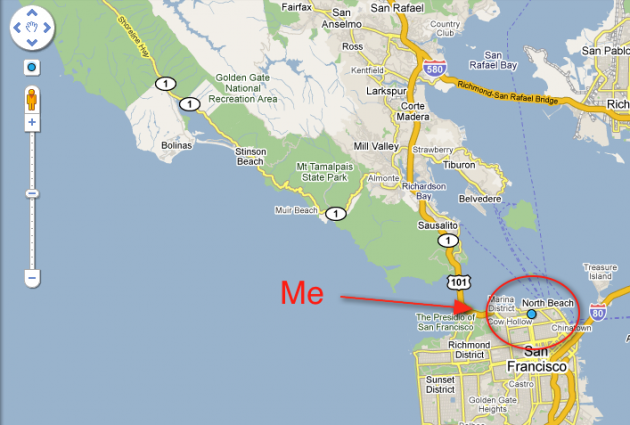 If you click that dot, Google Maps will show you your location on the map. It does this using the W3C Geolocation API standard, according to Google. So how well does it work? Pretty well. It got my location slightly wrong, but only by about a block. That’s not as good as it is on mobile devices, but remember, many of those have GPS, which is more accurate. Google Maps location is pulling from WiFi access points or, if none of those are around, your IP address. This is an important step for Google. If it wants services like Google Latitude to take off, there needs to be ubiquitous location information no matter if you’re on your phone or your laptop. Location is also potentially huge for Google if it can use it to start serving up localized ads based on your current location. It of course already does this somewhat, but being able to exactly pinpoint you will work better. Google takes privacy very seriously, so your location will never be used without your permission. The first time you use My Location on Google Maps, you’ll be asked to confirm that you’re happy to share your location with Google Maps, and you can always undo your decision. See the help center article on Privacy and My Location for more information about how your location is used. If you don’t have these latest versions of Chrome or Firefox (the two browsers currently supporting the Geolocation standard), you can still get your location if you install Gears. Google says support for more browser is coming soon, and notes that if you’re using a browser that doesn’t currently support it, you won’t see the location dot. Update: Lots of commenters are pointing out that Maps is placing them at completely wrong locations — sometimes in wrong countries.